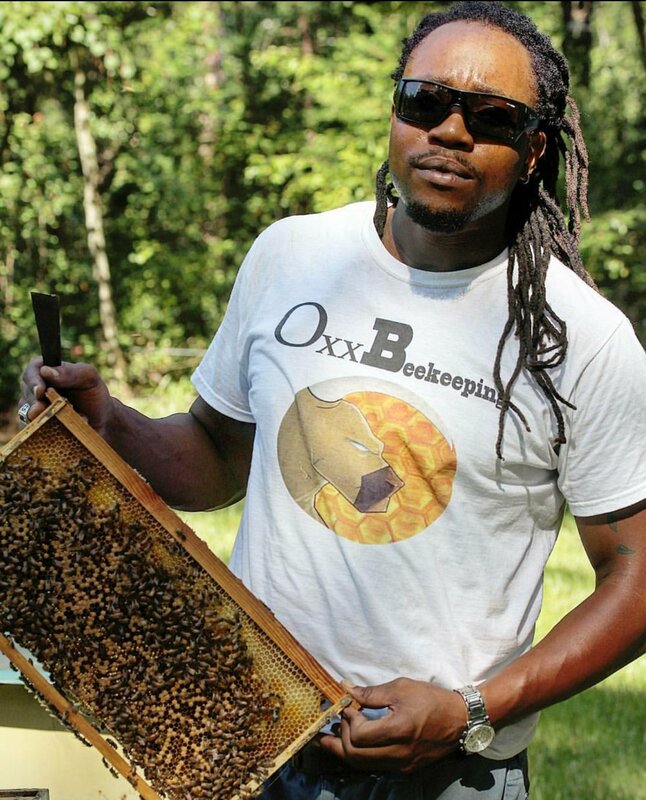 Oxx Beekeeping was founded in 2013 by Alwyn "Oxx" Simeina. Born in the Caribbean island of St.Lucia. His Beekeeping operation was started in Jacksonville Florida. While being mentored by Alice Shinkos and at the time the current president of the Jacksonville beekeepers association he learned treatment free beekeeping. By robbing minimum honey from the bees this taught him techniques to prevent from feeding the honeybees sugar water as a substitute for their honey. Still the practice used to this day in this family operated business. Honey Touched products was created in 2016. Oxx collaborated with Dermatologist, Estheticians, Cosmetologist, and Aesthetician to create his own skin care line based on his skin conditions he has encountered growing up. All products are made with raw and unfiltered honey and beeswax. Other ingredients are natural, cold pressed, organic, and non GMO. Hope you enjoy all the honey touched products that are not only good for your skin its also good to your skin. Stay Honey Touched. Thank you for visiting this website. We thank you for all your support though out the years. May you always bee wonderful and bee great.